If only I could have sent this wonderful warrior after Storm Gareth! 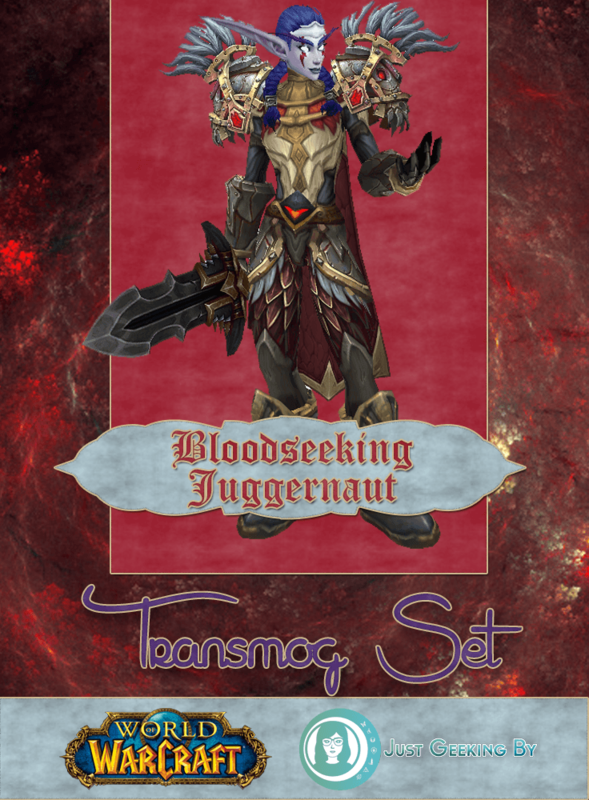 Echoing the warriors of our ancient history, the Bloodseeking Juggernaut set features mainly pvp items and the cloak from raid tier 21. 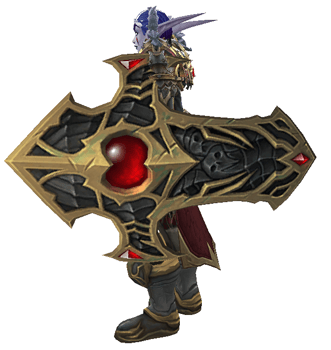 I had immense trouble finding a shield that was faction neutral; horde have it much easier finding a red hued shield (just as I imagine Alliance characters have their pick of blue shields) so depending on your faction you may find a better alternative to my choice. 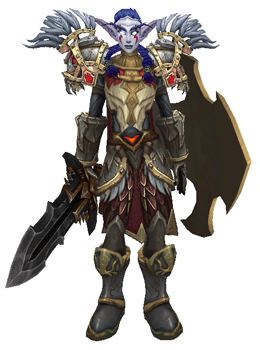 This transmog ended up having a Roman feel although that wasn’t my initial plan. 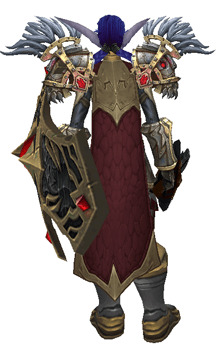 I’ll me working on some more themed transmogs once I’ve finished this class series (next week is the last one! 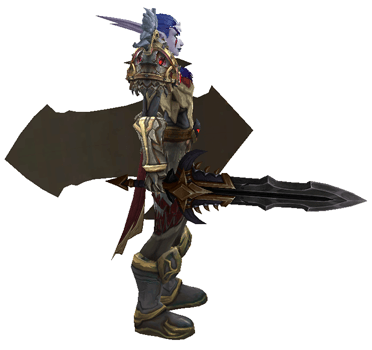 ), but I’d not considered borrowing from our history before. 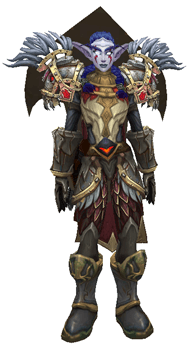 Have you ever based a transmog on a real historical costume before? What about clothes from real life? 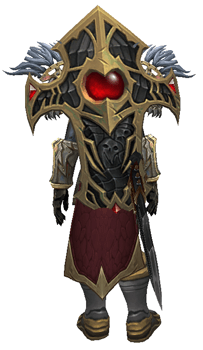 Or costumes from other games/fandoms? Image Credits: Banner texture by xnienke.